In 1993 the journal Mishkan published an issue focused on the Jerusalem School of Synoptic Research. 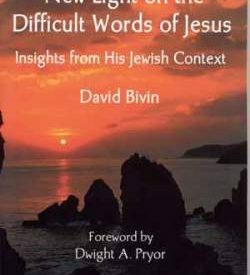 That issue included a review by Dr. Michael Brown of David N. Bivin and Dr. Roy B. Blizzard’s Understanding the Difficult Words of Jesus. 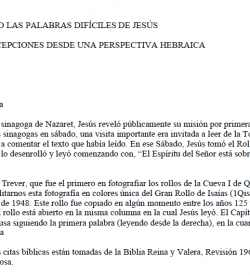 The review, entitled “Recovering the ‘Inspired Text’?” was highly critical both of Understanding the Difficult Words of Jesus and of the Jerusalem School’s entire approach to the Synoptic Gospels. Brown’s critique can be read by clicking here. Below we have reissued Bivin’s response, which originally appeared in the same issue of Mishkan as Brown’s review. 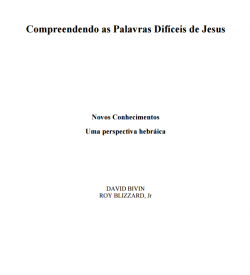 Understanding the Difficult Words of Jesus was privileged to have received two extensive, scholarly reviews. This in itself is an accomplishment for an unpretentious book written for lay audiences. The first was written by Dr. Weston W. Fields (now a member of the Jerusalem School) and published in 1984 in Grace Theological Journal. The second was written by Dr. Michael Brown and appeared in the journal Mishkan. 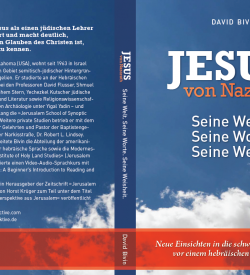 In his review, Brown refers to Understanding the Difficult Words of Jesus as “a unique book.” Although Brown did not intend this as a compliment, his words are a fitting tribute. The appearance of Understanding the Difficult Words of Jesus provided the momentum which led, three years later, to the Jerusalem School’s creation as a legal entity. Thus, despite its imperfections, many of us are delighted the book was written. I invite Michael Brown to join us in the effort to better understand Jesus and his words by contending with the Gospel texts rather than seeking to do battle with what he erroneously assumes are our theories of biblical inspiration. It would be more productive, if he thinks we have misinterpreted a text, for Brown to present his counter-interpretation than to level charges of heresy against the Christian members of the Jerusalem School of Synoptic Research. Click here to read Brown’s reaction to Bivin’s response, “The Issue of the Inspired Text: A Rejoinder to David Bivin,” published in Mishkan 20 (1994): 53-63.